Dr. Nathan Powell is ready to settle down near his family, and hopefully find the man of his dreams. He returns to the small coastal town where he grew up, but while life is simpler than it was in the city, there are also complications—like patients’ reactions to an openly gay doctor. And like running into Nate’s first love, Damien, an out-and-proud local business owner who is unwilling to be any man’s dirty secret. The reunion reignites old desire even while it stirs up Nate’s guilt over the way things ended with Damien. This is a very enjoyable second chance love story. Nate and Damien grew up as teenagers together, but Nate's fear of small town prejudice had him up and leave. Now, many years later, he is back in his hometown and inevitably they bump into each other again. Watching on as these two men talk out their past and contemplate their future is both touching and a reminder of the issues they faced. As they reconnect as friends, they also try to work out what has caused Nate's nephew to run away. The plot twist there works really well at bringing the story full circle. Good, thoughtful read, thank you Ms. Starr. NIC STARR lives in Sydney, Australia, where she tries to squeeze as much into her busy life as possible. Balancing the demands of a corporate career with raising a family and writing can be challenging but she wouldn’t give it up for the world. Always a reader, the lure of m/m romance was strong and she devoured hundreds of wonderful m/m romance books before eventually realizing she had some stories of her own that needed to be told! You can find Nic on Facebook, Twitter, and her blog. She’d love it if you stopped by to say hi. 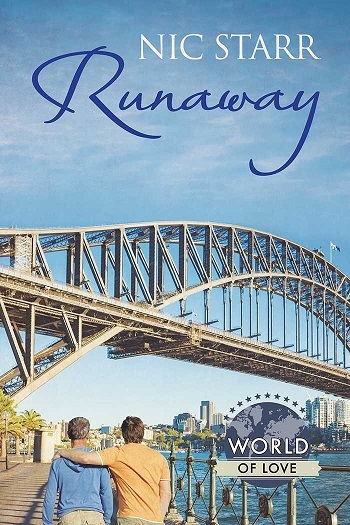 Reviewers on the Wicked Reads Review Team were provided a free copy of Runaway (World of Love) by Nic Starr to read and review.